I love this dress so much that I take it with me on almost every summer holiday (See blog post here). I love the simplicity of it and I like to wear it a different way every time. 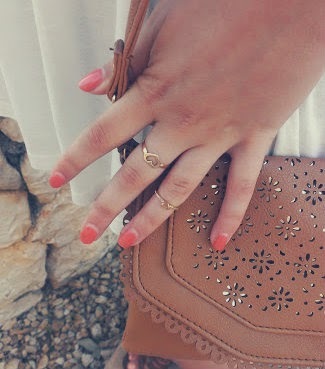 This holiday I wore it with tan accessories, gold jewellery and bright nails. 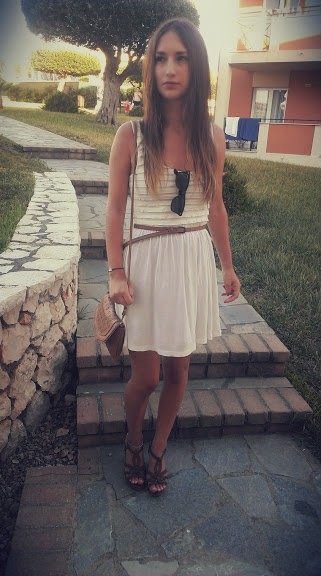 I also have a summer dress that I always wear. It's funny that you end up having that one dress that gets worn more often than the others. Mine is also pretty simple and therefore versatile.